We all make mistakes, every single one of us. Awhile back, another great music therapy blogger posted a song she remembered her mother singing to her as a child about mistakes. 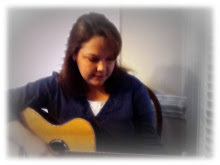 You can find Michelle Erfurt's mistake song over at The Music Therapy Tween here. Well, I really liked that song, and then today I stumbled across a children's book that addresses the same topic, making mistakes, and also has a song! How cool! The book is called Beautiful Oops and it is written by Barney Saltzberg. It's really okay to make mistakes, and sometimes it takes awhile for all students to learn just that. Here's a peak at Barney Saltzberg's book and song! That's awesome!! I love it! And what a great reminder for us adults as well. :-) Thank you so much for sharing. Think I know what the young nieces and nephews are getting for Christmas! Now that's a great idea! I did find this book on Amazon.com in case you are looking for it too.